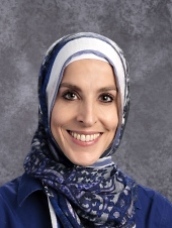 Al Fatih Academy is pleased to welcome back Ms. Batul Al-Saigh as our Grade 6 and Grade 8 Science teacher! Ms. Batul has many years of scientific lab and data research experience from her prior work at Georgetown University's Lombardi Cancer Research Center and the consulting firm of Scientific and Environmental Associates (SEA). She also has almost a decade of experience teaching, substitute-teaching and working in the administration at Al Fatih. Ms. Batul holds a BS in Biology and Environmental Management from George Mason University. In addition to being a professional BASI-Certified Pilates Instructor, she also coaches Great Falls Girls Soccer. Both of her children are alumni of AFA.